This document provides information on making a manual pedalbox from an auto item. Although the example used is an EF/EL unit, this information should be able to be applied to earlier versions. Be aware though that you will still require the clutch pedal and clutch cable attachments to make a complete unit. Auto pedalbox (complete with brake pedal and pivot pin and bushes). Brake pedal pivot pin (Ford part no FOEF2478A), clip, and bushes. The above parts are quite common, so should be able to be procured cheaply from any ford wreckers(except the welder). 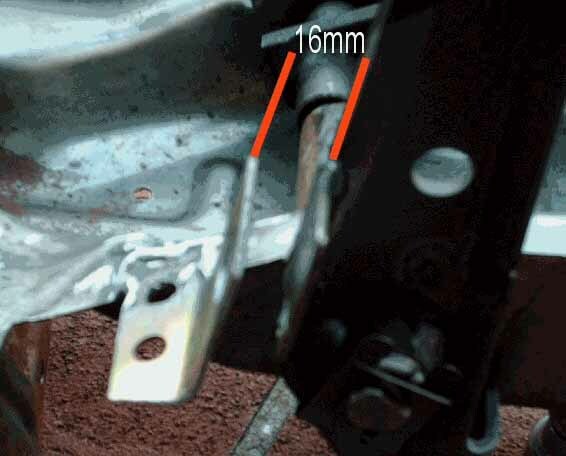 What is described here is a method of using the strength of the twin attachment points for the brake pedal pivot pin. Although this design hasn’t been long term tested, it should be an effective method of ensuring that clutch pivot pin rigidity is maintained. The clutch cable and attachments should still be regularly inspected and maintained, as this is usually the area where problems originate. 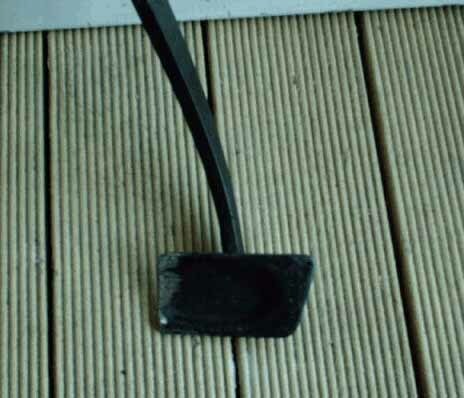 All that is required here is cutting and deburring the existing brake pedal pad support – this is easiest done by buying a manual brake pedal pad (available from most autoparts stores), and using it as a template. Make sure you allow for the pedal rubber lip. You’ll find that the LH pedal edge will have a slight ‘wave’ bend, but the rubber will still fit over it fine. See Fig 1. below. Fig 1. Modded Brake Pedal. Fig 2. Clutch pin comparison. Usually, what is done here is fit the pivot pin (ford part no EA7506A), weld the underside, and add strengthening around the pin base area. You can also use a Mal Wood clutch pin, which is fitted without removing the pedalbox. Unfortunately, both methods have their disadvantages, mainly that the stress area is around the pin base area, which can badly deform/crack over time. Extra welding and plates, etc can be fitted, however the design is still a single attachment type. 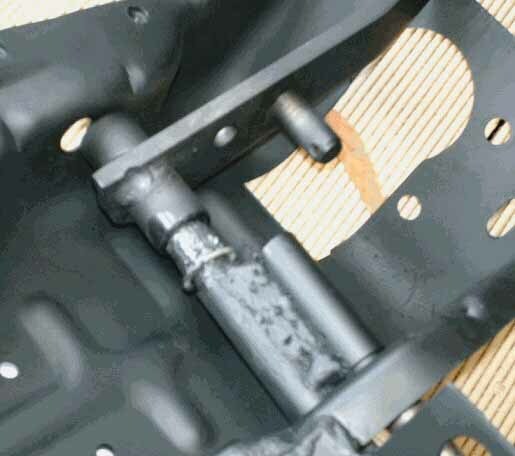 The idea in this document is to use a cut down brake pedal pivot pin welded parallel to the original pin, to use it’s better anchoring properties. 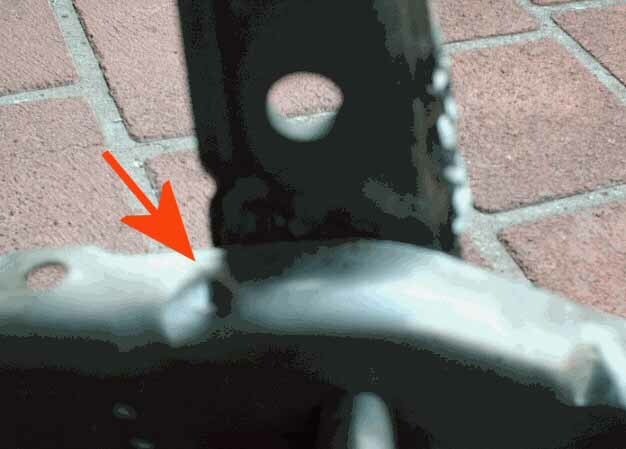 Fig 2. above shows the factory pin in comparison to a modded brake pedal pin. 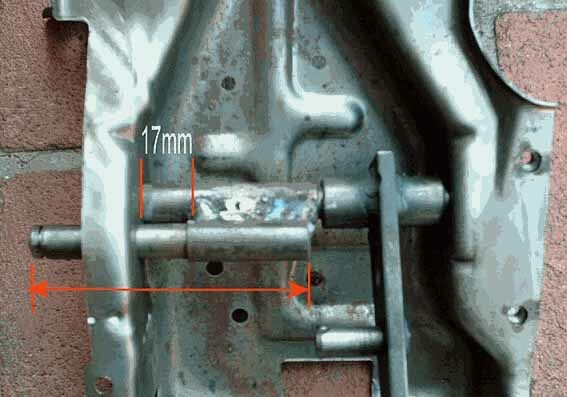 The brake pedal pivot pin to be used as the clutch pivot pin needs to be cut to a length to just to the left of the brake pedal when fitted (see Fig 3.). This lenth doesn’t need to be exact, but gives you the length to position the pin to have the correct length for the clutch pedal, plus also gives you a decent length to weld to, and also still allows both shafts a left movement to allow plastic bushes to be fitted. 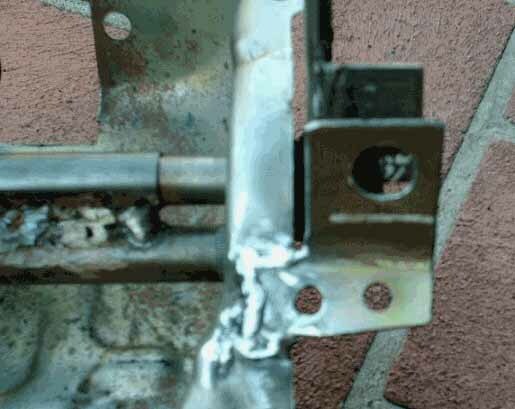 There will be a gap of around 5mm between shafts, which can be made of weld, or some stock can be welded to both. Ensure no plastic bushes are fitted (they’ll turn to blobs due to heat), and ensure your modded brake pedal is fitted to it’s pivot shaft before doing any welding - without bushes fitted (these will be fitted later). The ‘clutch pedal pivot pin’ needs to be fitted through the LH hole next to the LH brake pedal pivot pin attachment point, and this needs to be positioned 46mm proud of the pedalbox frame (see Fig 2.). This can then be welded in place, but do leave a gap between the weld and the LH pedalbox frame of at least 17mm to allow both shafts LH movement. And of course make sure that the main brake pedal pin is in position correctly, or all your measurements will be out. See Fig 3. below. Fig 3. Clutch pin dimensions. The factory clutch pin has a 5 mm collar at it’s base, so on our version, you need to make it up using a spacer, or flat washers – I used 4 aluminium sump plug washers (see Fig 2.). In the EF/EL’s, this is a disengage switch for the cruise control. There are a number of ways to do this bracket, usually it is to suit the factory switch, which looks like a ‘block’ type setup, with a plunger to operate the switch – the factory bracket to suit this is at Fig 4. 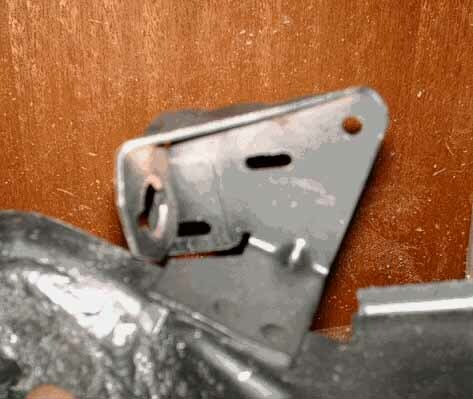 It wouldn’t be difficult to design your own bracket to suit, so it is best you do this yourself. The switch may be hard to find, and is expensive to purchase from ford (over $100 last time I checked), so you can use a HQ-WB holden brake light switch, and use a 5 pin relay to reverse the switching (it needs to be normally closed). One side of the holden brakelight switch goes to earth, the other side goes to pin 85 of the relay. Relay pin 86 goes the positive power side of the brake pedal switch. Relay Pins 30 & 87a go to the green/red & green/ white wires of the cruise control clutch plug (it has a shorting plug fitted in auto trans vehicles, and usually hangs in the wiring above the brake pedal switch). Some pics of my bracket design are shown at Figs 5 & 6. The clutch pedal in it’s normal specification adjustment (140+-3mm from pedal pad top to the floor carpet), can be simulated by aligning the pedal with the dimple in the pedalbox frame – see Fig 7. 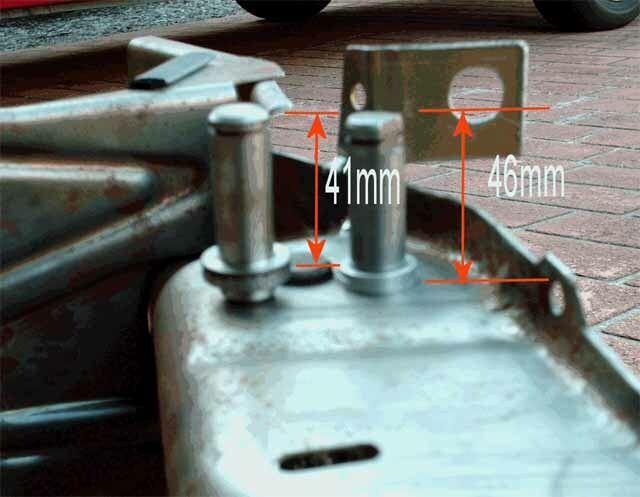 The factory bracket has a clearance of 16mm between the pedal and bracket, so it’s wise to replicate this – see Fig 6. Fig 6. Pedal clearance to bracket. 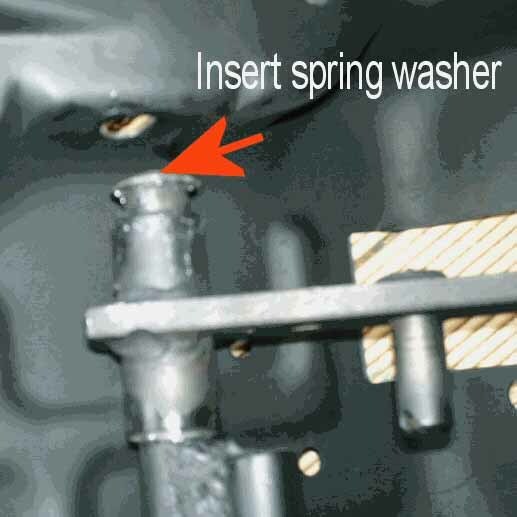 Figs 8 & 9 show how to install the brake pedal pivot pin bushes, ensure you lube them with grease before installing, and ensure the spring washer is fitted before inserting through the right hand side hole, and ensure the retaining clip has been installed also. 1. So how do I replace the brake pedal if I need to? You don’t, there isn’t any provision to. I couldn’t think of any reasons or circumstances in which you would need to – if the bushes have been greased and installed properly, you shouldn’t have any problems. Normal tasks like replacing the brake pedal stop light switch can be done as per normal. 2. So what do I do for a clutch pedal? As mentioned in the first paragraph, you’ll still need a clutch pedal and attachments. You can use brake pedal bushes and the retaining clip if needed. AFAIK all the E series clutch pedals are the same. 3. I’ve managed to get hold of a damaged EA-ED manual pedalbox, the clutch pedal is fine, but it’s mounting pin is torn out – can I fit it to an EF/EL? What you can do is use the clutch pedal and attachments, and fit them to a modded EF/EL auto pedalbox (as described in this doco). You’d probably find that this is the best and cheapest way to source parts, i.e. get hold of a damaged manual pedalbox (which should be cheap), and fit the clutch components to a modded auto pedalbox (which should be plentiful and cheap). 4. I've noticed on a factory manual pedalbox that the clutch pedal has a backstop bump rubber, yet your doco doesn't mention how to add one and it's bracket to the auto pedalbox? The clutch pedal is designed to have light spring pressure on the clutch cable, so a bumpstop isn't really needed. Document description: Converting your Auto pedal box to a Manual pedal box. Document written by: snap0964 on 08 2007>, Copyright © 2007 snap0964, all rights reserved.